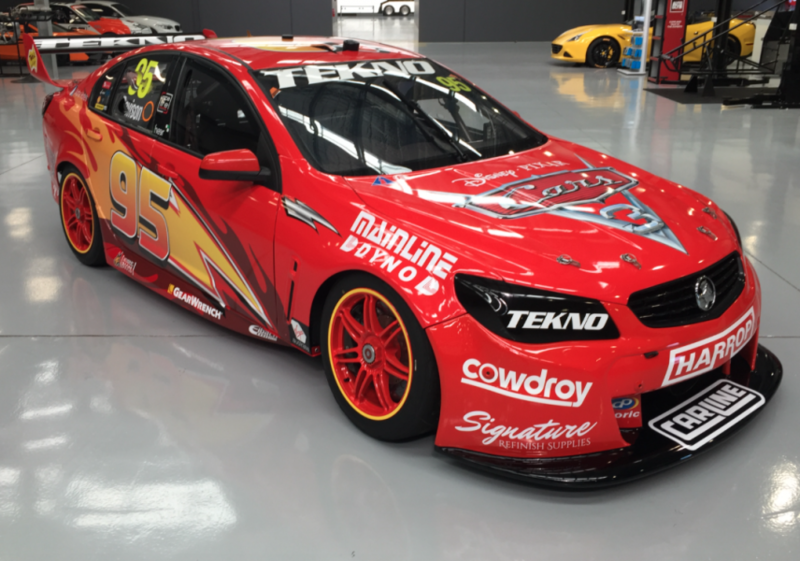 Will Davison’s Tekno Autosports Holden will take on the colours of Disney.Pixar’s Lightning McQueen character for the Red Rooster Sydney SuperSprint. An extension of Supercars’ long-standing deal with Disney.Pixar’s Cars movie franchise, the one-off arrangement celebrates the November 8 release of Cars 3 on Blu-Ray and DVD. Davison’s Commodore will switch from its usual #19 to the #95 run by Lightning McQueen in the movies. 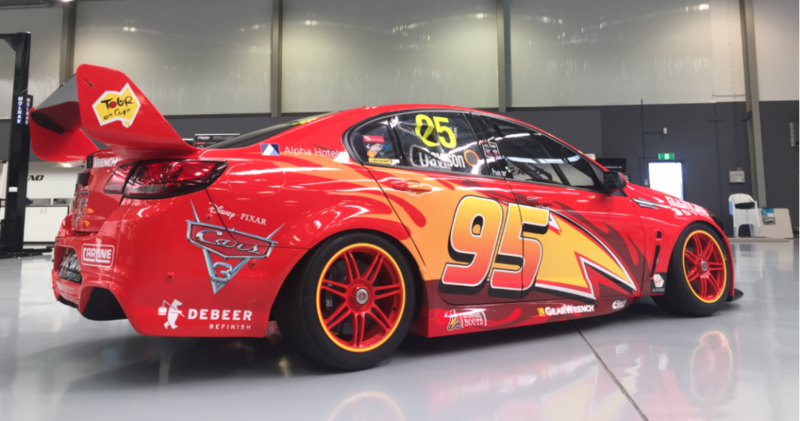 Fans will get their first chance to see the Lightning McQueen livery this Sunday at Tekno Autosports’ workshop open day. The reigning Bathurst winning team is throwing open the doors to the multi-million dollar, 4,500sqm facility that it moved into in April. Davison says he’s looking forward to seeing the reaction to the livery, especially among younger fans. “The relationship the category has had with Disney has been a huge hit over many years,” Davison told Supercars.com. “Being team-mates with Frosty (Mark Winterbottom, who had a minor role in Cars 2) a few years ago I saw first-hand the influence that had on all the kids. “It certainly opened my eyes on how we can relate to new fans and get the next generation involved. “It’s amazing how powerful the movie is and how much they adore the film and Lightning McQueen in particular. “Having the car on the grid takes it to a whole new level. It’s not just another sponsor livery on the car, it’s great news for the whole category. “My little nephew is pretty excited and I’m looking forward to see the reaction it gets at Sydney Motorsport Park. Davison heads to Sydney looking to bounce back from a tough Ipswich event that saw a front-suspension problem destroy two left-front tyres on his car in the Sunday race. The resulting failure to finish leaves the two-time Bathurst winner 16th in the points standings. “We’ve reacted pretty well since Ipswich, not only to what happened there but just our performances in general, trying to hone in on the reasons for our inconsistencies,” he said. “Perfection is more crucial than ever in the category right now, little things are the difference between the front and back of the grid. Making sure your processes and details are perfect is crucial. “What’s frustrating is that when we get everything right we’re competitive. At Ipswich we actually had a good car, but then we had those tyre issues. It’s that type of stuff that’s been costing us results. “Often when you’re down you try harder, you try more stuff and get yourself more lost. But we’re getting back on track and we know when the car’s good we can be quite good.